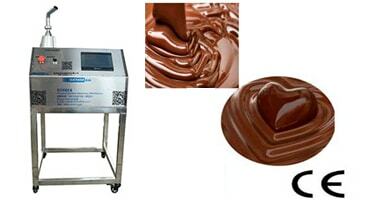 Chocolate automatic tempering machine, from melting by bain-marie to tempering by cooling gas with refrigerant compressor. 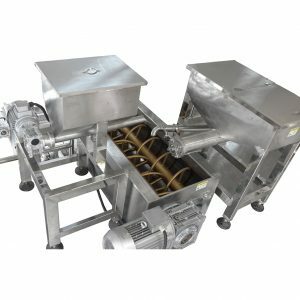 This machine is advanced equipment with mechanical and electric control, special for chocolate moulding. 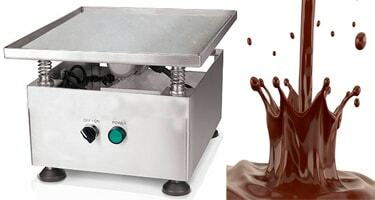 Chocolate vibrating table is commonly used to remove air-bubbles from chocolate during the moulding process as well as draining moulds. 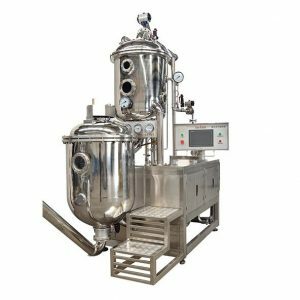 Chocolate melting and holding tank with pump has a wide range of application in the chocolate production and pastry shop. 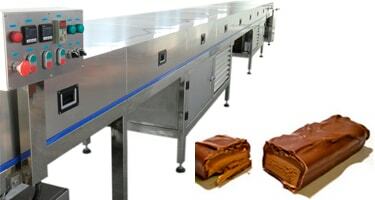 Chocolate Cooling Tunnel range from small low-heat products to large high-heat products and can be used in production of handmade chocolate. Made of stainless steel ad special alloyed steel. for tablet sugar coating production of food, pharmacy, chemical. 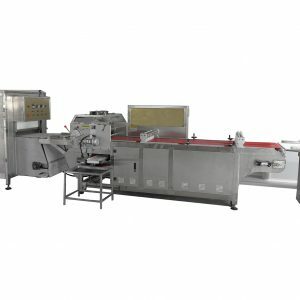 Automatic phoenix roll machine for ice scream. SEMMco Was founded in 2011. Referring to manufacturing the handmade chocolate processing machinery, there is no doubt that SEMMco is best qualified to speak. It is the sino-british joint venture invested by HERON and KEYCHOC. SEMMco is also the exclusive distributor for GAMI Srl in China. 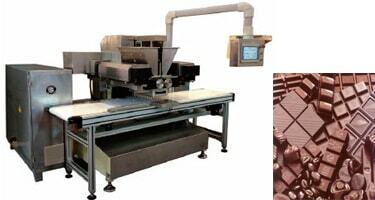 GAMI is an Italian company and is a leading manufacturer of continuous tempering machines for chocolate. SEMMco does not only provide standard chocolate machines, but also can manufacture the machines according to customers’ special request in reasonable price and short delivery time. 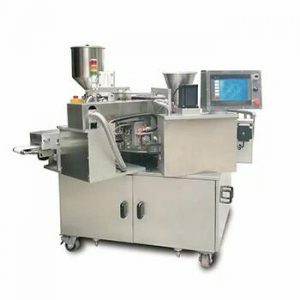 We provide all machines related chocolate products production including grinding, melting, conching, holding, coating, moulding, decorating, wrapping, etc..
We can customize the machines according to customer’s special request. Our experienced engineer can realize customer’s request easily. The principal of our factory has more than 20 years experience in chocolate machines industry. His team has pretty good understanding of chocolate machines and can provide professional solution to customer’s requirement. 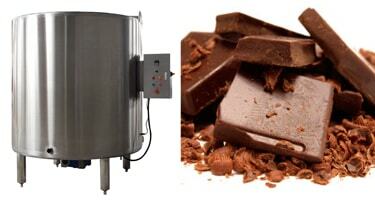 We do not just provide chocolate machines, we also provide complete solution for how to set your production line. You can just let us know what kind of chocolate product you want to make, we will provide you the solution of the machines. We can send our engineers to your spot to install and test the machines, until the chocolate products are produced smoothly. Honestly for my more than two year experience coordinating with Foreign Suppliers for our machine purchases, for the record, "only SEMMco delivered the ordered machine (Cooling Tunnel) on the exact date as promised from the start of our transaction". I know SEMMco since many years, and use some of your equipment in our Cacao-Barry / Callebaut Chocolate Academy T Center in Canada, which is the wheel tempering unit, chocolate shaving machine and warm cabinet. We always enjoy using your equipment for different applications, as quality is our daily challenge, to produce the best chocolate products during our courses.